Note: Washer and Dryer are sold separately. Designed to fit where others won't, Splendide stackable washer-dryers overcome space, venting, electrical and drainage limitations - while getting laundry spotlessly clean and dry in one machine. Engineered to wash and dry all your fabrics better and gentler while saving valuable space, energy, and resources, Splendide laundry centers fuse cutting-edge technology with the highest quality construction and design. Super-silent, ENERGY STARwasher cleans up to 15 lbs. and features easy-to-use controls with a digital display, adjustable water temperatures and spin speeds, automatic water level and load balance systems, 13 cycles and a 1200 rpm max spin. Special cycles: lightly soiled (15 min. ), jeans active wear. Woolmark Platinum Care Certified. Options include delay start, reduce wrinkles, extra rinse and super wash. 1 year limited warranty (extendable to 2 years). Class-leading stackable dryer features super-sized, 4.0 cu. ft. stainless steel drum, easy-clean lint filter, 3 timed cycles, sensor dry, bi-directional drum rotation for less wrinkling, and a low heat option. 13 lb. capacity. 1 year limited warranty (extendable to 2-years). Electrical: 120V, 60Hz, 12A. Size: 32-3/4"H x 23-1/2"W x 22-1/2"D Weight: 67 lbs. Measuring just over 23 W Splendide models are designed and UL approved for recessed, closet and alcove installations. They operate using 115V, 60Hz, 15Amp, discharge less water than most dishwashers. The Dryer requires an outside vent (sold separately). 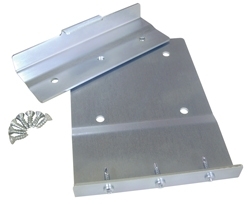 A stacking kit is required for mobile RV and Marine applications (also sold separately). Front-loading with a stainless steel tub and drum, each model comes equipped with easy-to-understand programs and controls, reliable internal components, performance enhancing electronics, automatic wash through dry convenience and Splendide's exclusive, extra-large door opening - set high on the machine to make loading and unloading easier. With all these features, it's no wonder Splendide has been North America's best selling combination washer-dryer since pioneering the concept in 1984. Click here for more information, installation, and specifications on Stackable Washer Dryers from Splendide.